BUPA is the U.K.'s leading private health care insurance provider. BUPA was founded as 'The British United Provident Association' in 1947, growing out of founders' concern for insufficient private health care. BUPA maintains the same objectives that they worked for more than half-a-century ago: 'to prevent, relieve and cure sickness and ill health, to promote health in any way, and to raise, establish, maintain and administer a fund for defraying medical costs on behalf of our members'. 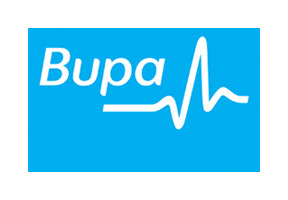 'Feel better' is BUPA's motto. Coping with the stress of international living, you can use BUPA's world-renowned care to help you feel better in body as well as mind, feeling secure with the support of high quality insurance. BUPA group insures more than seven million customers and spans three continents. BUPA offers award-winning coverage; BUPA International won the award for 'Best International Private Medical Insurer' at the Health Insurance Awards in 2006. BUPA offers travel cover as well as other international services. All international coverage includes access to the 5,500 hospitals participating in the BUPA network. BUPA is very concerned about making the customer feel safe and comfortable. Made available to all BUPA clients is a helpline open 24 hours a day, 365 days a year with multi-lingual staff to serve all your needs. Medical bills are settled directly with hospitals and clinics, so that you don't have to be concerned with payment. These are just a few of many things BUPA provides to make your expatriate insurance worry free. All claims are paid in the currency of the region where you reside so that you won't have to hassle with exchange rates. Important telephone numbers are accessible right on an international membership card and on the BUPA online network, making it easy to check the progress of your claims. As a BUPA policyholder, you decide you own coverage to suit your needs, circumstances and budget with a wide variety of care plans. You can choose emergency evacuation and repatriation services as part of your plan. The world's largest international expatriate health care insurer, BUPA offers a knowledgeable and helpful team that has the experience of working with nearly 700,000 members of 115 nationalities in 190 countries. For more information on how BUPA international coverage can suit your expatriate insurance needs, contact one of our consultants.